For Mr. Prince, the foreign battalion is a bold attempt at reinvention. He is hoping to build an empire in the desert, far from the trial lawyers, Congressional investigators and Justice DepartmentKnowing that his ventures are magnets for controversy, Mr. Prince has masked his involvement with the mercenary battalion. His name is not included on contracts and most other corporate documents, and company insiders have at times tried to hide his identity by referring to him by the code name “Kingfish.” But three former employees, speaking on the condition of anonymity because of confidentiality agreements, and two people involved in security contracting described Mr. Prince’s central role. The team in the hotel lobby was led by Ricky Chambers, known as C. T., a former agent with the Federal Bureau of Investigation who had worked for Mr. Prince for years; most recently, he had run a program training Afghan troops for a Blackwater subsidiary called Paravant. officials he is convinced worked in league to portray Blackwater as reckless. 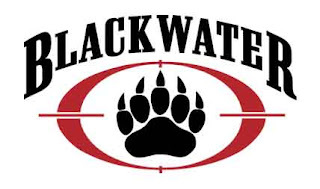 He sold the company last year, but in April, a federal appeals court reopened the case against four Blackwater guards accused of killing 17 Iraqi civilians in Baghdad in 2007. To bolster the force, R2 recruited a platoon of South African mercenaries, including some veterans of Executive Outcomes, a South African company notorious for staging coup attempts or suppressing rebellions against African strongmen in the 1990s. The platoon was to function as a quick-reaction force, American officials and former employees said, and began training for a practice mission: a terrorist attack on the Burj Khalifa skyscraper in Dubai, the world’s tallest building. They would secure the situation before quietly handing over control to Emirati troops.